Narayan Gopal started his theater journey by acting as a blind person in a play named "Tyag" in 2013 BS. Narayan Gopal's stage journey started by playing Tabla on the song of Prem Dhoj Pradhan during TC Night event in Trichandra College. In most of Prem Manik's song, Narayan Gopal used to play Tabala. The music director of the song he sung for the voice test in Radio Nepal was also Prem Manik. In the first year of his marriage he taught history in Amarsingh High School in Pokhara. In that time he lived as a guest in poet Bhupi Sherchan. Later he moved to Shyam Kachapati's house. Narayan Gopal's body builder friends used to call him 'Sando Pahalman'. Both of his body builder friends Tarzen Singh and Toofan Singh have already died. In 2036 BS while he went to the stage to sing in 'Samjhanako Raat' program he challenged from the stage, "If you want to fight I am ready come one-by-one." In the movie 'Pariwartan' he told that he won't sing a duet song and forced to add a solo song. The solo song 'Bhujnai Sakinau Timile Mero Aankha ko Bhaka... ' was his debut song in movie. The song was written by Chetan Karki and music by V. Balsara. When an ADC from the palace brought a song by Chandani Shah (then queen, Aishwarya) he got annoyed and asked him not go come again. He didn't want to sing the song. The palace wasn't happy by such a behavior of Narayan Gopal. But, later he sang the song, earning him the highest payment he ever received for singing a song. 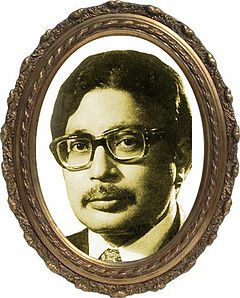 Naryan Gopal was titled 'Swor Samrat' by Nagendra Thapa in 2027. The title was publicized by journalist/novelist/lyrist Shiva Adhikari. Narayan Gopal had recorded 157 songs in his life. He sang three songs in his mother tongue, Newari, but none were recorded. He had saved those songs in his cassette player. Two of the songs were written by Girija Prasad Joshi and one by Durgalal Shrestha. First solo concert of Narayan Gopal was organized in Silgudi, West Bangal, India. The event was managed by musician Divya Khaling. After Arunma Lama Night Narayan Gopal and Ambar Gurung parted and didn't talk with each other. It was only in 2041 BS, during the time of the recording of 'Malati Mangale' poet Madhav Ghimire helped them get together again. During the royalty era, Narayan Gopal only sang two songs written by the royal members. One was written by Chandani Shah and another by Rabindra Shah. Apart from editing a magazine, Narayan Gopal had written a few articles. His essay "Devkota Bacheko Bhaya" was published in Madhuparka monthly and "Baudhik Bhanine Shrasta" (on Parijat) was published in Gorkhapatra daily. 0 comments for "21 Unknown facts about Singer Narayan Gopal"